T-Mobile and BlackBerry’s fall out has been well documented by now, so I won’t go over old ground to explain why the Canadian smartphone maker decided to end its sales agreement with Tmo. Almost as soon as the announcement was made, BlackBerry began offering T-Mobile BBerry users the opportunity to buy a device from ShopBlackBerry at a discounted price. 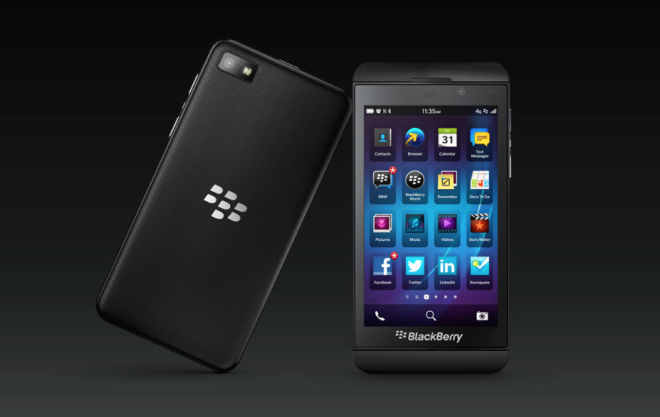 Customers were offered a $100 discount on a Z10, Q5 or Q10. We announced that BlackBerry is not renewing T-Mobile US’s license to sell our products as of April 25, 2014. As a current T-Mobile US customer, your BlackBerry smartphones will continue to work after April 25 with no interruption to your service. Enjoy $100 off a BlackBerry smartphone at shopblackberry.com with promo code BLACKBERRY1 * as a thank you for your loyalty. *Offer expires May 31, 2014. Valid in U.S. only. Coupon only valid towards the purchase of a BlackBerry Q5, Q10 or Z10 smartphone. Quantities limited. Limit 1 coupon per customer and 2 smartphones per customer. Offer may change without notice. This message was sent by BlackBerry Limited, 2200 University Avenue East, Waterloo, Ontario, Canada, N2K 0A7. In response to this offer, T-Mobile kicked off its own promotion to get rid of its BBerry inventory by offering $100 off the price of its BlackBerries until the end of 2014. But there you have it, the promo code is BLACKBERRY1 – as some of you commented on the day the news broke – so let us know if you plan on using it to buy yourself a new device, or if you’re going to stick with buying through T-Mobile direct and getting $100 off that way. According to comScore, BlackBerry’s American market share fell to 3.1% in January 2014, which is even less than Windows Phone’s anemic 3.2% US market share. BB will run themselves out of relevance by the end of the year. I see people hide their blackberry out of embarrassment. Not good prognosis for this patient. How is the Q10? My girlfriend would love one but after telling her I could sideload Android market she thinks she might go route of S4….Do you have android market running and if so is it an easy, and painless process to get android market running? I have a Z30 and am running amazon app store and 1mobile app stores. Its as easy as any app store to use and install. Sideloading can be inconvenient to some, but there are easy enough instructions online on how to do so using Google Chrome browser. I sideloaded Snap and it connects easily to your Google account for Play Store apps. Also, you can go to http://www.apktrain.com on your BB10 browser, and download Android apps directly. yes, so people are trying to ridicule you. You might consider that an honor. It is your perspective. At 3.2% market share and sinking rapidly, it will be only be available in antique stores! For 2013 Porsche’s U.S. market share was 0.002%. They sold 42,323 of the total 15.6 million in new auto sales. Porsche must have run themselves out of relevance. I see people parking their Porsches in the way back of the lot hoping no one sees them driving one out of embarrassment. Porsche is a premium product. Blackberries are junk. Yet both are unique in that one is a crown jewel, one is dump. Great deal if you ask me. I just picked up a Z10 for 199.99.
what a shame blackberry isnt offering this discount on the Z30. I tried to post this comment on “inside blackberry”, And shamefully and ridiculously enough they did not allow me to post the comment. I’d like to know if this comment had anything that devoids it to be posted on the indide blackberry blogs? Being a blackberry user since 2004, and used only blackberry phones, till now, i feel this is a shameful act from Blackberry………not sure if this is a one odd event or has the culture changed with the new leadership. if someone can voice an opinion of adding the z30 to the $100 off, would definitely snag one off. Doesn’t work I tried it already, but it’s still 150$ cheaper than the next cheapest place, negri electronics. False. There was an article a few weeks ago about this. 95% of people who traded in a Blackberry switched to Android or iOS. Greg: Do a search for Slickdeals BlackBerry 200 to read a 489 page thread of iOS and Android phone users doing exactly what Jason did. That 94% number was a sham as those trading in phones were not “switching” to anything they did not already have. The BlackBerry phones being traded in had not been used in years, it’s not like all those people were walking around with active, in-use BlackBerry smartphones and decided to switch to an iOS or Android phone while taking advantage of the offer.